Top-ranked photo booth rental company serving Philadelphia, Bucks County & Montgomery County. Illumination Photobooths combines industry leading open-air photo booth technology with an awesome staff to create a unique red-carpet style photo shoot experience for you and your guests. Go from glam to silly all in one session. 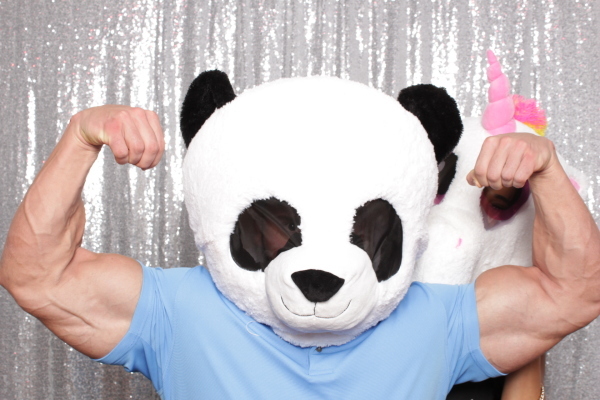 Our friendly & fun staff will ensure your guests enjoy their photo booth experience. Our California designed professional studio quality camera and lighting equipment set-up is combined with stunning backdrops that will look great at any event. Every package includes unlimited use of the photo booth. Each guest will receive a printed keepsake of their session. The open-air photo booth design is flexible enough to fit a couple or a large group. We will create a unique print design to match your event's style. Add your company logo at no additional cost. Select from our contemporary and elegant backdrops at no additional cost. We have classic colors that match all occasions. A large variety of fun and creative props for all occasions. Themed props available upon request (additional charge may apply). Copyright © Illumination Photobooths. All rights reserved.